The dictionary contains 36 themes, each fully illustrated with fun and engaging scenarios. Three characters, Ben, Daisy and Keekee the monkey, guide the children through their daily lives and introduce them to the 300 English words young children need to learn. There are songs and games for every theme for children to engage with. 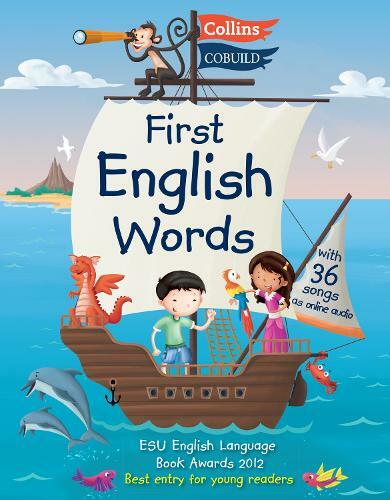 Collins First English Words aims to make learning English fun. First English Words has won the title `Best entry for young readers' at the English-Speaking Union (ESU) English Language Book Awards 2012.